Client Story: The solopreneur’s PA… and business sounding board! Sarah Hannah, pictured above, is The Passionate PA for Somerset. From a corporate background and bringing a wealth of experience of working with senior managers and directors in companies of all sizes, she began her journey as a self-employed freelance PA with us in July 2018. Thinkography was her very first client! Danny Gosling, Managing Director of the Yeovil based business, has been a graphic designer for 25 years. He has worked for a large number of global brands; CocaCola, BMW, Nissan, Barclays, Manchester United, to name just a few. Danny always knew he wanted to run his own design agency, and so Thinkography was created. Danny’s mission is to revolutionise how employers interact with their people. So, how did The Passionate PA meet Thinkography? Well, that is quite a long story… Danny met one of our other Passionate PAs years ago at a networking event. As is so common with our clients, Danny was not adverse to the notion of using freelancers, but he knew then that he wasn’t quite ready to ramp up his business. The Passionate PA business card stayed on Danny’s desk as a ‘maybe one day’ for well over a year. That ‘one day’ came in July last year after Danny had spent time with his Business Mentor. They had discussed how to take Thinkography to the next stage and, almost instantly, Danny’s thoughts turned to The Passionate PA knowing just how he could use a freelance PA to help him create solid processes and structure in his business. A lunch meeting and a gourmet fish finger sandwich later, it was pretty clear that Danny was embarking on a relationship that would change the shape of his solopreneur business! 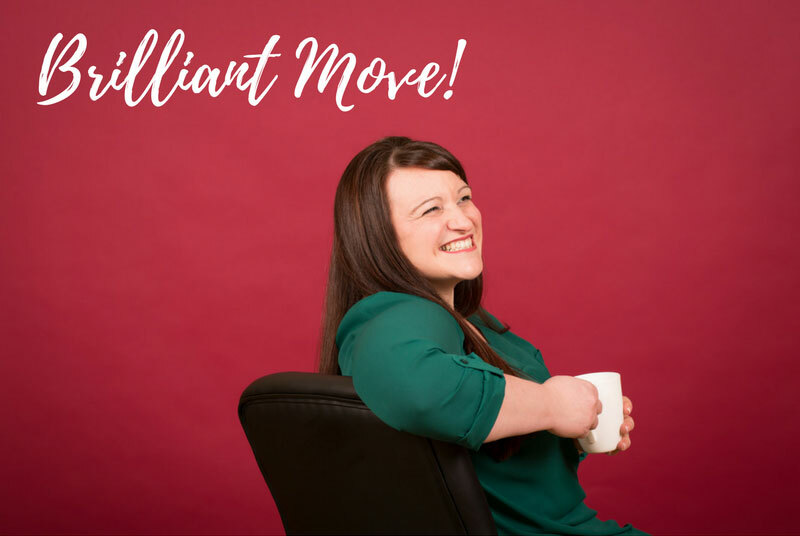 Sarah’s remit initially was to relieve Danny of some of the day to day admin tasks that take up so much of a business owner’s valuable time. Her first list of responsibilities was to take control of the CRM systems to provide an insight into the business financials, update social media profiles, draft website text and to put in place a calendar that would allow a link between business and family commitments – ensuring the two never overlap. As time has moved on, Sarah and Danny’s relationship has changed. The day-to-day PA role has adapted as systems and procedures have been implemented, and due to the knowledge and understanding Sarah now has of the business, the ways Danny works and the clients he is working with, it’s fair to say that she’s become a pivotal part of the Thinkography set-up. Every Passionate PA takes the time to understand their client’s dreams and aspirations, motivations and success blockers. Momentum in any business is only possible when the business and personal objectives align, and Sarah is now the first to ensure every action either she or Danny take align with the bigger picture for the future of Thinkography. Together, they are working on growing the business, finding new clients and building the brand awareness in Somerset and the surrounding counties. “I have great plans to expand Thinkography over the next five years, however I’ve reached the point where I can’t do any more on my own. Just like everyone else, I only have 24 hours in a day! For me though, freelancers are not about just ‘buying time’, they are about skills and experience. I’ve always hired freelance designers and artworkers to help me deliver creative work on big projects, however until recently I’d still been trying to do everything else myself – far too much of what I’m not good at, and struggling to get done the things I’m best at – which is what earns the money… it seems so obvious what to do when you write it down like that, but I know I’m not alone in trying to grow a business alone and then wondering where the work/life balance goes! Not only is this a very stressful way of working, but it’s also inefficient. I wanted help doing the things I’m not good at, bringing new skills and experience to my business. So earlier this year, I finally admitted to myself that I was the one getting in the way! So, I asked a close business friend if he could recommend anyone who could help me with the tasks I needed doing; without hesitation he recommended Passionate PA. And then I remembered I had a card for them somewhere too! Outsourcing my operations role to Sarah has been a big step forward for the business. Like many small business owners, I struggle to ‘let go’ and accept that I can’t do it all on my own; however, I’m now frustrated I didn’t do it sooner. It’s such a great feeling to have important tasks completed without me having to do them! And very liberating too as I’m now able to focus on what I’m best at and enjoy most. In a few years’ time, the business will be able to run without me being so ‘hands on’. My relationship with Sarah is evolving all the time as we explore new opportunities to share the workload, and so I definitely see Sarah as a big part of the future. Sarah relishes the opportunity of working with Danny. She loves to celebrate the business’s achievements and provide a focused sounding board to help Danny achieve his ambitions.